I’ve been making coffee in a French Press for over a year now, and I love it. It’s simple, easy, and really tasty. 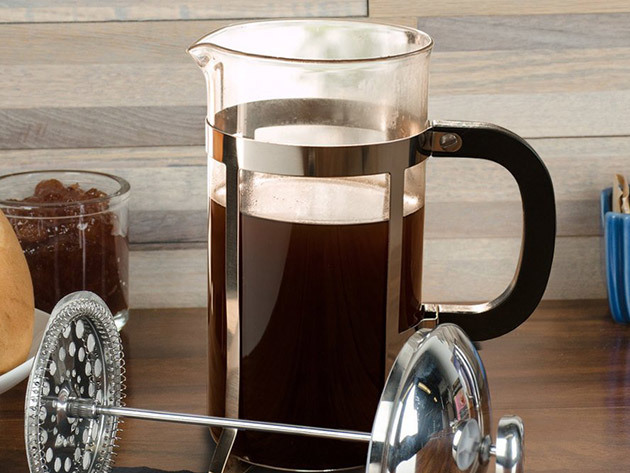 The Nuvita French Press Coffee Maker is also super simple, and fortunately, priced very low. 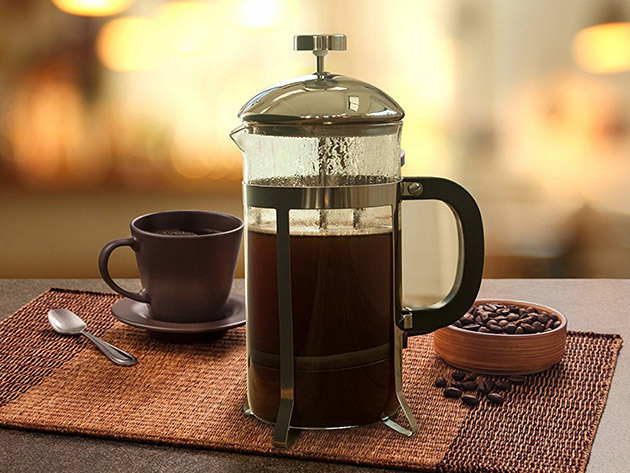 Make gourmet coffee at home, on the road, or anywhere you’ve got a flat surface with this French press from Nuvita. With a sleek, portable design, this easy coffee maker is as great for the trail as it is for your kitchen. Pressed coffee grounds deliver maximum, pure, delicious flavor like it came straight from the bean, and this is the French press to do it. 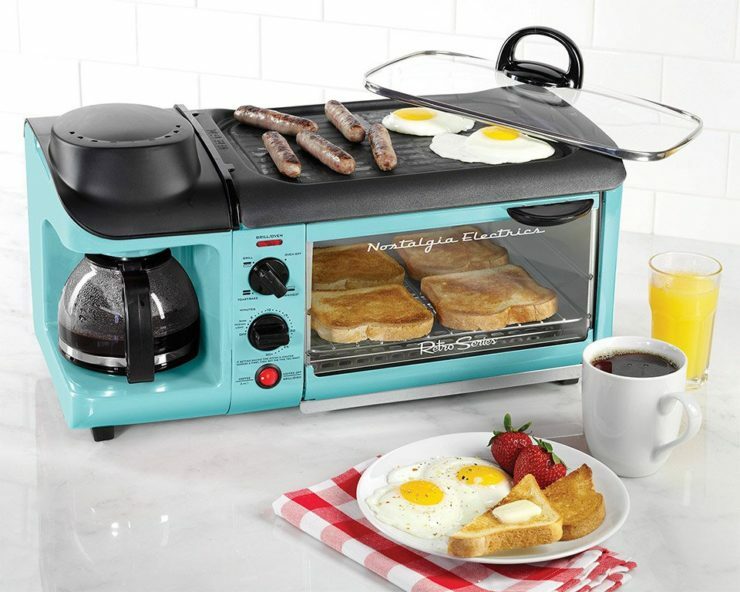 Hot on the heels of the (admittedly still cooler) bacon toaster, the Nostalgia Retro Series 3-in-1 Family Size Breakfast Station still brings a bit of swag to your morning foodmaking activities. 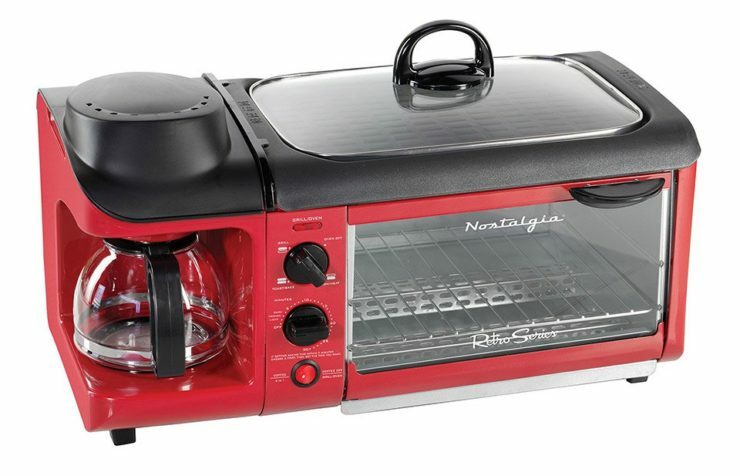 You can toast up to 4 slices of bread while simultaneously brewing 4 cups of coffee, and frying up some bacon n’ eggs on the large family-size non-stick griddle. Yes, you’ll be consuming a lot of power while doing so, but the appliance is rated at 1,500 Watts, so it should be able to handle the load just fine. The reviews on Amazon are pretty positive, so you’re likely to get quite a bit of bang for your $67. It comes in red and aqua. Steps. That’s what you’ want to avoid when getting up in the morning, when you’re barely able to comprehend what planet you’re on. Steps to do this, or steps to do that. It would be infinitely better if all the steps could be combined into one, so that you wouldn’t have to think about what you’re supposed to be doing. 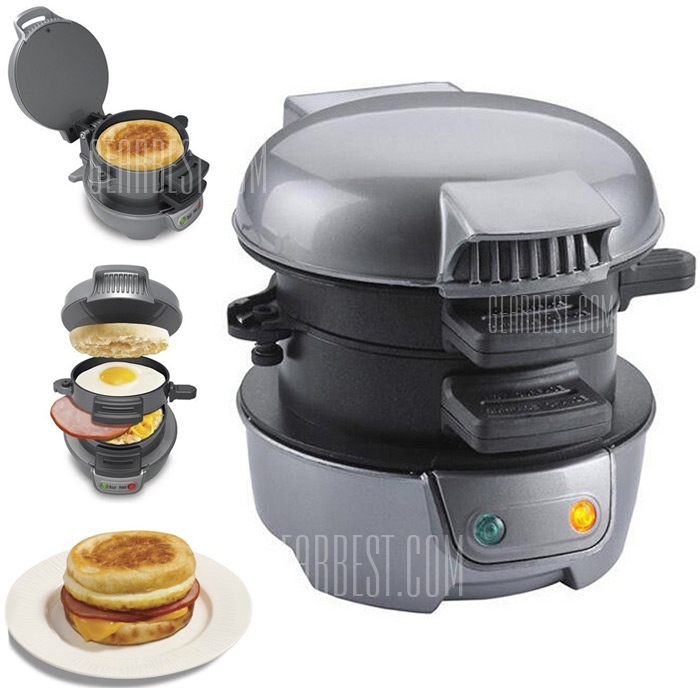 Kind of like how this Automatic Eggs Hamburger Maker combines all the steps that go into the preparation of a breakfast sandwich right into one. It has room for the eggs, which will fry in their own pan, as well as a separate compartment for the meat, and for the bread. Just toss all the ingredients in their respective place and the sammich maker takes care of the rest. The best part is that it’s only $36.18 and if you use the coupon code “GBHOME12” you can get an additional 12% off. As a matter of fact, if you check out this page, you’ll see a list of popular kitchen items that will also work with the same 12% off coupon. It’s very tempting to make an article filled with Star Wars puns and references, but you’ve likely read them all and wouldn’t be able to stop rolling your eyes at one more. At least, that’s how we feel if we read something like “you won’t need the Force to eat these waffles”, or “these are the waffles you’re looking for”. It’s like every blogger on the Internets just has to tie that into his writeup somehow. 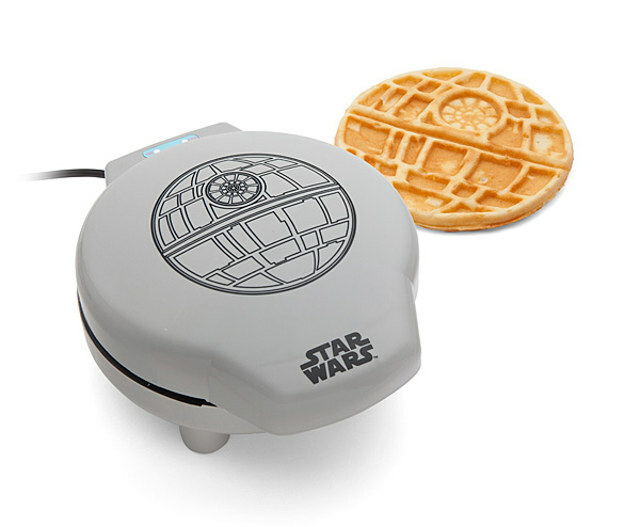 So we’ll just tell you simply: you’re looking at a waffle maker that makes waffles that look like the Death Star. There. That’s all there is to it. Waffles. Death Star. $40. The end. Everyone knows one of the most fantastic flavour combinations known to man is Maple-Bacon. If we had our way, there’d be Maple-Bacon pie, cheese, candies, edible underwear, lube… Heck, everything would be that flavour! So we’re happy that everyone’s favourite breakfast is finally being released in that particular flavour combination. 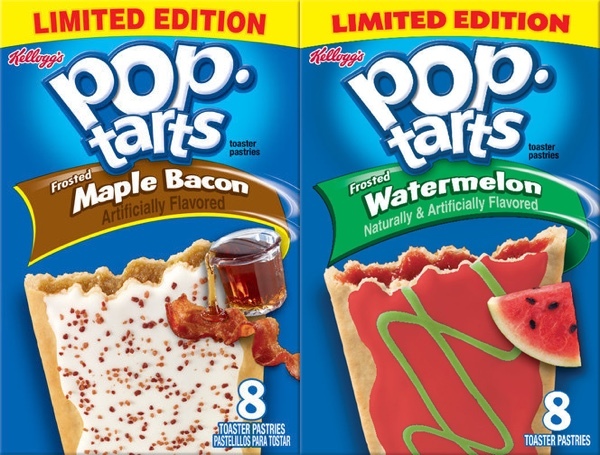 As a matter of fact, Kellogg’s has announced the release of five limited edition varieties, including maple-bacon. Yeah, sure, the others sound decent too. But they’re a little vanilla as far as we’re concerned. We’re not sure which markets these are for, but if they don’t come to Quebec (where Yours Truly is sitting), we’ll be shocked. 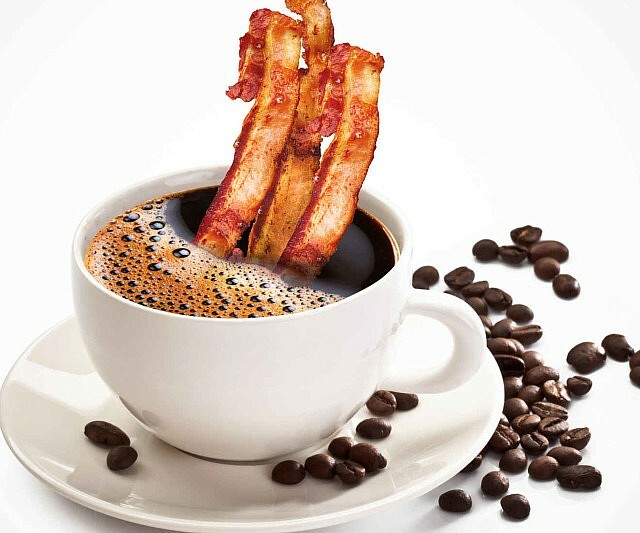 Bacon and coffe, together at last. Not like, together-in-the-same-breakfast, but in separate dishes, so… sort of like not together. No, we’re talking about together for real. Maple Bacon Deluxe Smoked Coffee is exactly what it sounds like: coffee, but with the delicious flavour and aroma of bacon. We pour the maple bacon flavor on our slow smoked beans like syrup, letting them soak up all the wonderful bacon goodness. 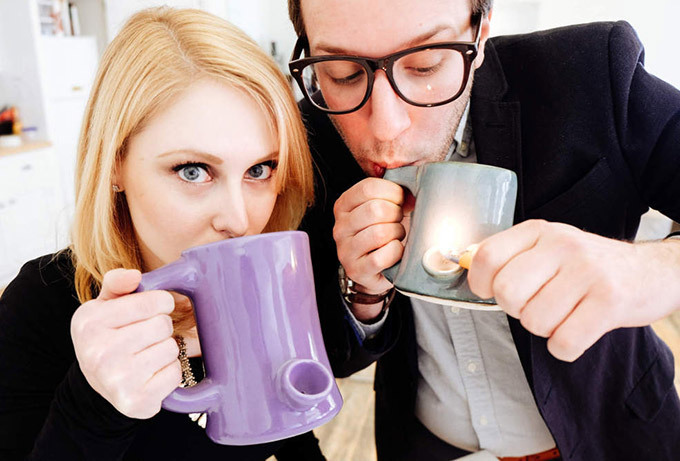 Each cup will taste sweet, savory, and delicious without all the fat and grease. Your entire kitchen, office, or café will smell like a Sunday breakfast. A 1 lbs. bag is $17. By David Ponce on 03/10/15 • Leave a comment! Everyone’s used to eating their pancakes in a bland round shape. 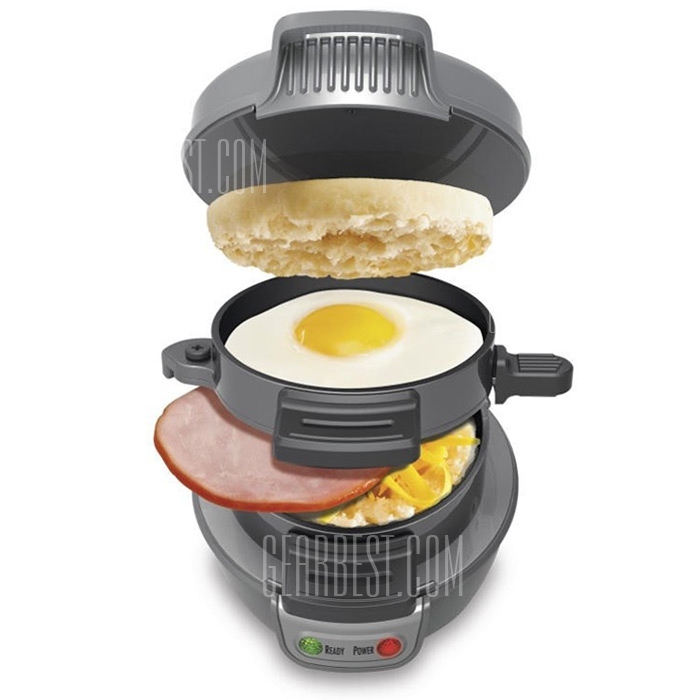 It’s not like having them be any other shape than round is going to make them taste better, but if you’re easily amused (or have young children), the PancakeBot might interest you. 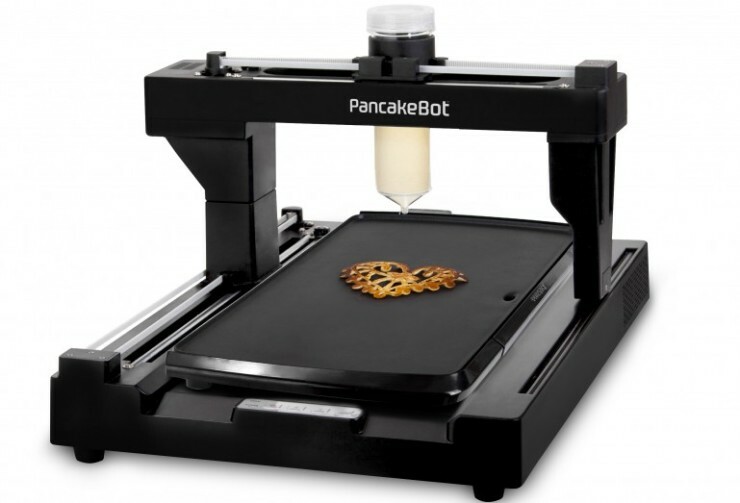 It’s kind of like a 3D printer, only for pancakes. And it’s not quite 3D since it doesn’t build them up vertically. It’s also not completely automated, since you do have to flip them yourself. But if you’re looking to make your pancakes into all kinds of creative shapes, this is the way to go. 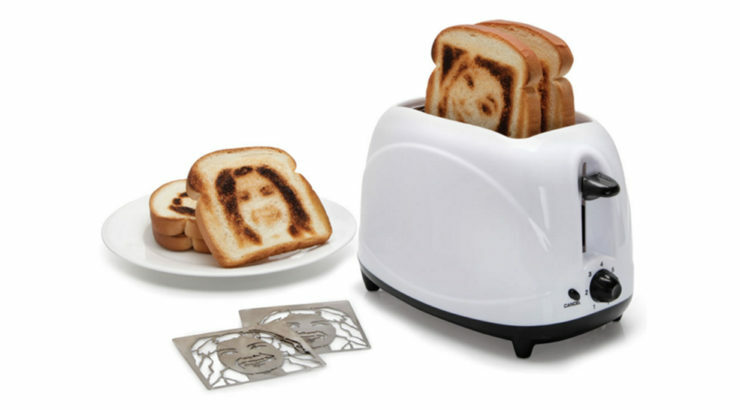 The PancakeBot comes with an SD card pre-loaded with shapes, and there’s also tracing software that lets you create your own. An extruder will pump the batter out in any shape you want, although you do have to be careful with the kind batter you use and not have anything too clumpy or with fruits or chocolate chips in it. We also suspect the novelty will wear off after your 25th Eiffel Tower, but hey, there are definitely worse ways to spend the $179 pledge necessary to get your own.